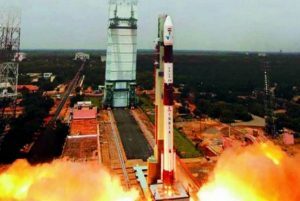 Prime Minister Narendra Modi on Wednesday hailed the successful launch of RESOURCESAT-2A satellite, saying it was a remarkable feat. “Successful launch of PSLV-C36 / RESOURCESAT-2A is an accomplishment we all are very proud of. Congratulations @isro on the remarkable feat,” he tweeted. RESOURCESAT-2A, the latest remote sensing satellite which would be useful for agricultural applications like crop area and production estimation, drought monitoring, soil mapping, cropping system analysis and farm advisories generation was launched earlier in the day from Sriharikota in Andhra Pradesh. “It has been a perfect launch,” ISRO Chairman Kiran Kumar said. The satellite, once brought to its final operational configuration, will begin to provide imagery from its three cameras and the data will be useful for agricultural applications. The 1,235-kg RESOURCESAT-2A is a follow on mission to RESOURCESAT-1 and RESOURCESAT-2, launched in 2003 and 2011 respectively.